I know Burning Man founder Larry Harvey didn’t have Kumbh Mela in mind when the he first burned an effigy on the beach in San Francisco. This blossomed into a festival dedicated to using art as a means of one regenerating oneself, but the similarities are uncanny and say something about the commonality of enduring human ritual. 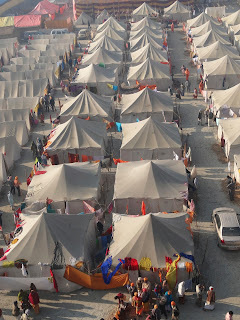 Here’s a few Kumbh Mela pictures considered from the viewpoint of Burning Man. I am very interested to learn more and more about indian festivals and culture. Your site is very much helpful to give us latest information on kumbh mela ujjain.